Welcome to Strommen – Spanish Classes Los Angeles. Strommen believes in a global world and a “global you.” As a Student of Spanish classes in Los Angeles you have the unique opportunity to practice speaking and immerse yourself in the language on a daily basis. Los Angeles is truly a bilingual city. If you want to take Spanish classes, Los Angeles is the perfect city for you! Castellano or español? Textbooks and computer programs always try to simplify Spanish and divide it into 2 categories (castellano for Spain and español for Latin America) but this is a gross generalization. Spanish is spoken by 500 million people and spread across more than 20 countries. While “standard spanish” is important it’s not what the Señora serving Pozole in Baja or your in-laws in Echo Park will be using. Strommen teachers know all of the dialects, whether Guatemalan, Argentine, Peruvian, Mexican or even Spanglish (that’s what you hear around LA.) But not to worry, we’ll also teach you to write business emails and use the subjunctive tense . No matter where you travel to, whom you speak to, or what your goals are, there is the perfect teacher for you at Strommen. 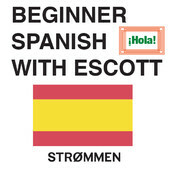 With a Strommen teacher you will speak Spanish on the first class. A private session is more effective, efficient and convenient than enrolling in a group class. Your Strommen teacher will be a perfect fit for your needs and learning style. We equate 10 hours of private classes with a full semester in a traditional college or group class. Scheduling is convenient (7 days a week, any time of day), and you can start right away (¿mañana?). You can easily reschedule, so you will never miss a class and get left behind. In a private class, you do the speaking. There are no other students to hide behind or take up all of the teacher’s time. Your teacher will make sure you progress at your pace, rather than the pace of the best (or worst) student in the class. Strommen further enriches your learning experience with free podcasts, videos, online resources, Strommen Language Meetups around LA, group classes, workshops and even an annual immersion trip to Italy. Getting started is easy, just fill out our student application or call and we will help choose the best teacher for you. We decide on a specific teacher based on a number of criteria including a professional gut-feeling. We will make sure it is the perfect match. As a student, your Strommen teacher will be highly dedicated to you, but if they happen to go to Spain for vacation or you feel like switching it up a bit, rest assured you can always get a substitute or alternate teacher. The locations for our private classes are very convenient (believe it or not we probably have a location down the street). Many of our teachers meet at cafes, at their home office, or anywhere you like. We believe it’s fundamentally wrong to really learn a language from a text book, audio CD, or computer program. It’s time to get away from the computer, grab a coffee and meet your Strommen teacher to have a real conversation! Check out our Group Class Schedule here. Strommen Group Classes are a fun, social, and an even more affordable alternative to our private classes. We organize traditional classes like “Beginner Spanish” as well as workshops like “Taco Truck Spanish” or “Traveller Spanish”. Our classes try to meet at culturally relevant locations since LA is full of authentic places. For a full list of our group classes and enrollment info head over to our Group Class Schedule. You can also browse our teachers for Spanish Classes Los Angeles below. Don’t live in the Los Angeles area? No problem, our teachers are available online.